N 49° 2' 59" and E 2° 5' 59"
Pontoise in Val d'Oise (Île-de-France Region) with it's 30,290 inhabitants is located in France about 18 mi (or 28 km) north-west of Paris, the country's capital. Local time in Pontoise is now 07:19 PM (Monday). The local timezone is named Europe / Paris with an UTC offset of 2 hours. We know of 9 airports in the wider vicinity of Pontoise, of which 5 are larger airports. The closest airport in France is Pontoise - Cormeilles-en-Vexin Airport in a distance of 4 mi (or 7 km), North-West. Besides the airports, there are other travel options available (check left side). There are several Unesco world heritage sites nearby. The closest heritage site in France is Paris, Banks of the Seine in a distance of 16 mi (or 26 km), South-East. If you need a place to sleep, we compiled a list of available hotels close to the map centre further down the page. Depending on your travel schedule, you might want to pay a visit to some of the following locations: Saint-Germain-en-Laye, Argenteuil, Nanterre, Versailles and Boulogne-Billancourt. To further explore this place, just scroll down and browse the available info. Let's start with some photos from the area. 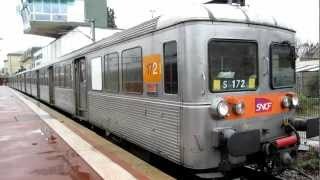 La Z6172 effectue l'un de ses derniers voyages sur la ligne H du réseau Transilien, à Pontoise. Ce train part en direction de Persan Beaumont. A bord d'une Z20900. Vue sur les remparts de Pontoise depuis le pont traversant l'Oise. 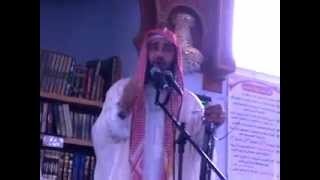 Prise le 22 juin 2012.
prière du vendredi de chaikh saleh de PONTOISE. 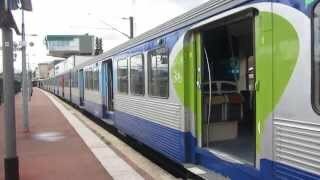 Départ d'une Z20900 à Pontoise sur le RER C, en direction de Massy Palaiseau. Une BB17000+RIB à destination de Persan Beaumont part de son terminus Pontoise, sur la ligne H Transilien. 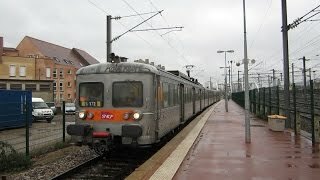 Une BB27300+VB2N en provenance de Paris Saint-Lazare à destination de Gisors part de Pontoise, sur la ligne J Transilien. Le Quart d'Heure Américain au salon country de Pontoise 2014. 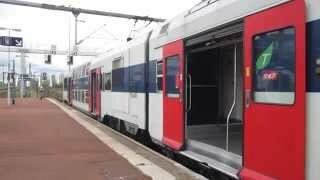 La Z6172 effectue l'un de ses derniers voyages sur la ligne H du réseau Transilien, à Pontoise. Ce train repartira ensuite en direction de Persan Beaumont. Cergy Le Haut is a railway station in Paris suburbs. The station was built in 1994 by the Agence des gares (J. 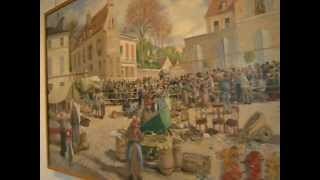 -M. Duthilleul, E. Tricaud) and receives trains from Gare Saint-Lazare as well as the RER. The station is half underground and was built in an area of openland fields, now built upon and is part of the network of stations serving the ville nouvelle of Cergy-Pontoise. Located at 49.048, 2.012 (Lat. / Lng. ), about 4 miles away. Cergy – Préfecture is a railway station in Cergy, France. The station was opened on 29 March 1988 and receives trains from Gare Saint-Lazare as well as the RER. The station is underground and has two platforms. The entire area above and around the station is built up and the département council has its offices next to the station (hence the station's name). The station is at the heart of a transport interchange at level -1 with the bus station at ground level. Located at 49.036, 2.08 (Lat. / Lng. ), about 1 miles away. Saint-Ouen-l'Aumône is a railway station in Saint-Ouen-l'Aumône, a northwestern suburb of Paris, France. It is served by Transilien regional trains from Paris to Pontoise and from Pontoise to Creil, and by RER rapid transit. Located at 49.045, 2.106 (Lat. / Lng. ), about 0 miles away. ESSEC (École Supérieure des Sciences Économiques et Commerciales) is one of the foremost business schools and Grandes Écoles in France and one of Europe’s top business schools. It was created by Jesuits in 1907 and was originally located in the heart of Paris, next to Pantheon-Assas University, on rue d'Assas. Its campus was later relocated to Cergy-Pontoise, 30 km west of Paris, in 1973. As well as other top French Grandes Écoles, ESSEC is known for its very competitive entrance exams. Located at 49.0331, 2.07778 (Lat. / Lng. ), about 2 miles away. The River Oise is a right tributary of the River Seine, flowing for 302 km in Belgium and France. Its source is in the Belgian province Hainaut, south of the town Chimay. It crosses the border with France after about 20 km. It flows into the Seine in Conflans-Sainte-Honorine, near Paris. Its main tributary is the River Aisne. Located at 48.9867, 2.07139 (Lat. / Lng. ), about 5 miles away. Located at 49.0361, 2.06306 (Lat. / Lng. ), about 2 miles away. 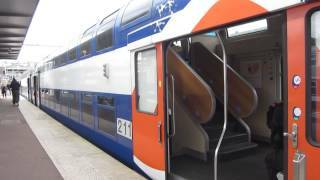 Cergy – Saint-Christophe is a railway station located in the city of Cergy, France. The station built by Philippe Deslandes opened on 29 May 1988 along with Cergy – Préfecture station. It was, until 1994, the terminus for RER's line A3 but is now the penultimate stop. The station building is a large glass structure placed above the line at street level and comprises metal and glass cylinder and Europe's largest clock. Located at 49.049, 2.034 (Lat. / Lng. ), about 3 miles away. Ham is a small village to the south of Cergy. The village used to be part of the Sergentery and then commune of Neuville-sur-Oise but has since been amalgamated in the commune of Cergy. It is situated on the southern side of the River Oise and is linked to Cergy by a one way bridge. The area is rather flat as it is inside the last meander of the river. On its territory is the outdoor leisure centre Base de Loisirs de Cergy-Neuville. Located at 49.0267, 2.05833 (Lat. / Lng. ), about 2 miles away. Pontoise is the train station serving the city of Pontoise and the surrounding suburbs. The station is a large building situated on Place Charles de Gaulle itself at the bottom end of Rue Thiers. Rue Thiers was built for the station and links Pontoise's Medieval centre to the railway. The station was opened to link Paris to Dieppe, it is parallel to the line with a long footbridge stretching over the lines to the Canrobert bus station. Located at 49.046, 2.095 (Lat. / Lng. ), about 0 miles away. Pontoise Cathedral (French: Cathédrale Saint-Maclou de Pontoise) is a Roman Catholic cathedral, and national monument of France, located in the town of Pontoise, now on the outskirts of Paris, in the Val d'Oise. The church, raised to the status of cathedral in 1966 when the Diocese of Pontoise was created, is dedicated to Saint Maclovius (Maclou). Located at 49.0506, 2.09722 (Lat. / Lng. ), about 0 miles away. Mirapolis was a theme park which was opened in 1987 in Courdimanche, in the city of Cergy-Pontoise. 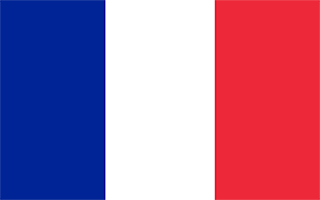 It was one of the first French theme parks, and its themes were the tales and the great novels of France. The park was dominated by a huge statue of Gargantua, inside which an attraction, a dark ride, was installed. The first year, the bad weather was an handicap for outdoor events and people took refuge in the "Grand Théatre". Located at 49.055, 1.99863 (Lat. / Lng. ), about 5 miles away. Located at 48.991, 2.074 (Lat. / Lng. ), about 4 miles away. Cergy-Pontoise University (Université de Cergy-Pontoise) is a French university, in the Academy of Versailles. Cergy-Pontoise University is a public university and a leading centre of teaching and research, which welcomes 17,700 students and 1,500 international students interested in studying abroad. The university is ideally located in the west of Paris (30 km from central Paris), in the Val-d'Oise department. Located at 49.0389, 2.075 (Lat. / Lng. ), about 1 miles away. EBI is a Grande Ecole d'Ingénieurs (Top graduate engineering school) funded in 1992, providing courses in Industrial Engineering with a strong focus on Biological Engineering. EBI is a private technical further education establishment managed by a non-profit association, the purpose of which is to offer further education courses in industrial biology, whether in the form of initial training or continued vocational training. EBI is state-approved and authorised to teach scholarship students. Located at 49.0325, 2.06611 (Lat. / Lng. ), about 2 miles away. The Château d'Hérouville is a French château of the 18th century (1740) located in the village of Hérouville, in the Oise valley near Paris. The castle was built in 1740 by Gaudot, an architect of the school of Rome. In the 19th century, it was used as courier relay station and stabled a hundred horses. The composer Michel Magne purchased it in 1962. He was best known in the U.S. Located at 49.1017, 2.13306 (Lat. / Lng. ), about 4 miles away. Saint-Ouen-l'Aumône - Liesse is a railway station in Saint-Ouen-l'Aumône, a northwestern suburb of Paris, France. It is served by Transilien regional trains from Paris to Pontoise, and by RER rapid transit. Located at 49.0342, 2.12778 (Lat. / Lng. ), about 2 miles away. The "École des Practiciens du Commerce International", now referred to as "ESSEC BBA", is the Bachelor of Business Administration program of ESSEC Business School, France. It was created in 1975 by ESSEC to prepare students to meet the needs of French firms launching operations on the international market. In 1977, the EPSCI degree became the first ever undergraduate degree outside of the US to be awarded AACSB accreditation. Pontoise Aerodrome or Pontoise – Cormeilles Aerodrome (French: Aérodrome de Pontoise - Cormeilles) is an airport located 7 km northwest of Pontoise in Boissy l'Aillerie near Cormeilles-en-Vexin, all communes of the Val-d'Oise department in the Île-de-France region in northern France. The airport is also located 16 miles northwest of Paris. It supports mostly general aviation, however daily scheduled flights to Brighton (south of London) are now operated by Brighton City Airways. Located at 49.0967, 2.04083 (Lat. / Lng. ), about 4 miles away. Gare de Méry-sur-Oise is a railway station located in the commune of Méry-sur-Oise, France. The station is served by Transilien H trains, on the line from Paris to Persan-Beaumont via Saint-Leu-la-Forêt. The daily number of passengers was between 500 and 2,500 in 2002. Méry-sur-Oise is located on the line from Ermont-Eaubonne to Valmondois, that was opened in 1876. The line was electrified in 1970. Located at 49.0578, 2.19083 (Lat. / Lng. ), about 4 miles away. Gare de Frépillon is a railway station located in the commune of Frépillon, France. The station is served by Transilien H trains from Paris to Persan-Beaumont via Saint-Leu-la-Forêt. The daily number of passengers was less than 500 in 2002. Frépillon is located on the line from Ermont-Eaubonne to Valmondois, that was opened in 1876. The line was electrified in 1970. Located at 49.0464, 2.19694 (Lat. / Lng. ), about 4 miles away. Located at 48.9964, 2.09778 (Lat. / Lng. ), about 4 miles away. The Auberge Ravoux is a French historic landmark located in the heart of the village of Auvers-sur-Oise. It is known as the House of Van Gogh (Maison de Van Gogh) because the Dutch painter Vincent van Gogh spent the last 70 days of his life as a lodger at the auberge. During his stay at Auvers, Van Gogh created more than 80 paintings and 64 sketches before shooting himself in the chest on 27 July 1890 and dying two days later on 29 July 1890. Located at 49.0709, 2.1725 (Lat. / Lng. ), about 4 miles away. Pierrelaye is a railway station in the town of Pierrelaye, a northwestern suburb of Paris, France. It is served by Transilien regional trains from Paris to Pontoise, and by RER rapid transit. Located at 49.0194, 2.15367 (Lat. / Lng. ), about 3 miles away. The Maubuisson Abbey was a French monastery at Saint-Ouen-l'Aumône in the northwestern suburbs of Paris, France. It was suppressed at the time of the French Revolution. Located at 49.0461, 2.11667 (Lat. / Lng. ), about 1 miles away. The EDF-GDF tower is an office building built in 1974 in the heart of the new town of Cergy, France, in the Cergy Prefecture business and administrative district. Its architect is Renzo Moro. The tower is 85.3 metres high, with 14 floors. It was built to house the sister companies Électricité de France and Gaz de France. Located at 49.0356, 2.07917 (Lat. / Lng. ), about 1 miles away. These are some bigger and more relevant cities in the wider vivinity of Pontoise.